Carers Hub Lambeth said goodbye to David Meyrick this week after two and a half years as dedicated Mental Health Carers’ Worker. David took up the post after working for Victim Support. He said the best part of the job has been “meeting such inspirational people, mainly the carers I’ve worked with. I’ve worked with such a diverse group of people who have been so knowledgeable, resilient, kind and have made me both cry and laugh. Working with Carers 4 Carers and the Lambeth Collaborative (despite the 8am start!) has opened my eyes. David is pleased with how peer support groups for carers have developed… “the mental health carers peer support group, mental health forum and the new social group at Connect and Do (Certitude) have become real successes, mainly due to the strong connections the carers attending have formed. 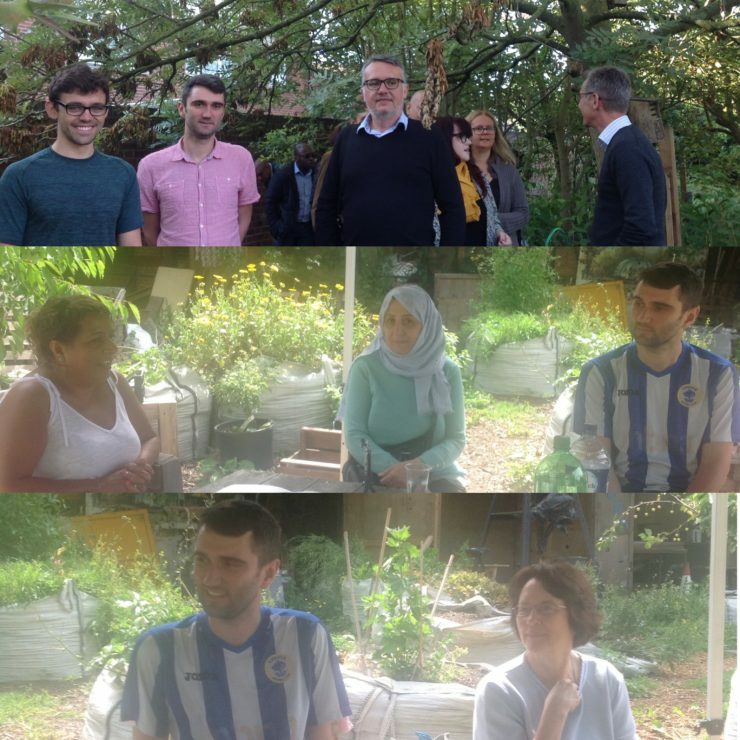 David is pictured with carers Ibtisam and Angela at a Laughter Yoga session at Loughborough Farm during Carers’ Week 2017 run by Zeeenat Fayyaz, and at a Collaborative (8am start) Breakfast at the Moorlands Nature Garden Allotment, September 2018.